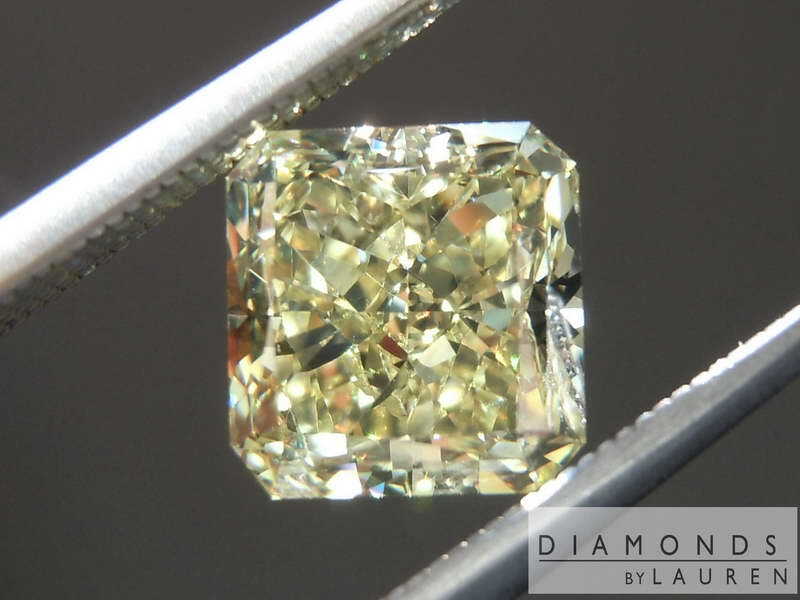 Here's a great value on a beautifully cut, square radiant diamond - GIA graded Fancy Intense Yellow and VS! in clarity. 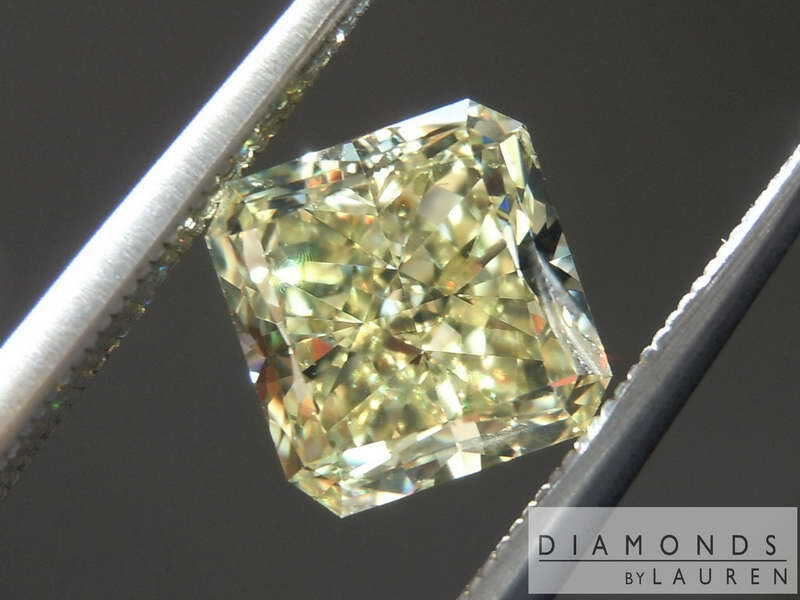 The stone has great "crushed ice" brilliance - an even lively sparkle across the entire diamond. The color is a good representation of Fancy Intense Yellow. Clearly deeper than Fancy Yellow, yet clearly a bit lighter than a nice Vivid. 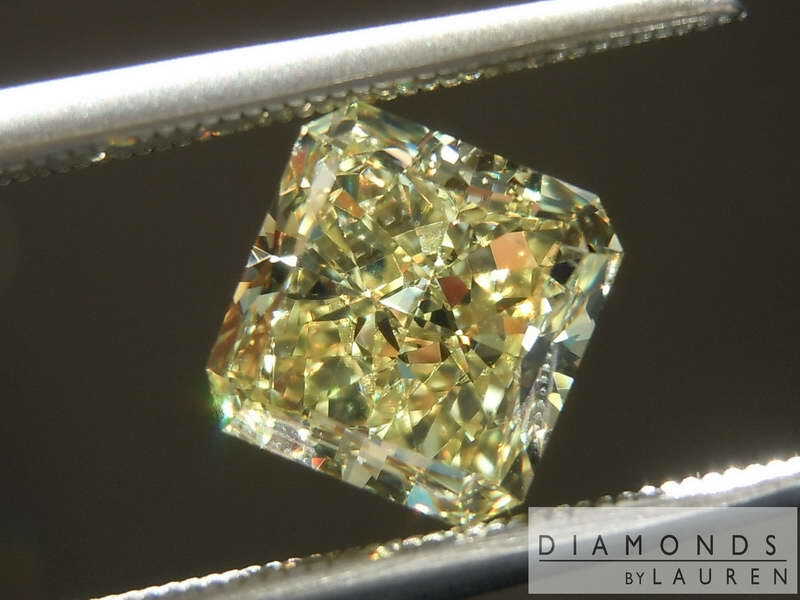 The fact that it is 1.81ct makes it a nice bargain. 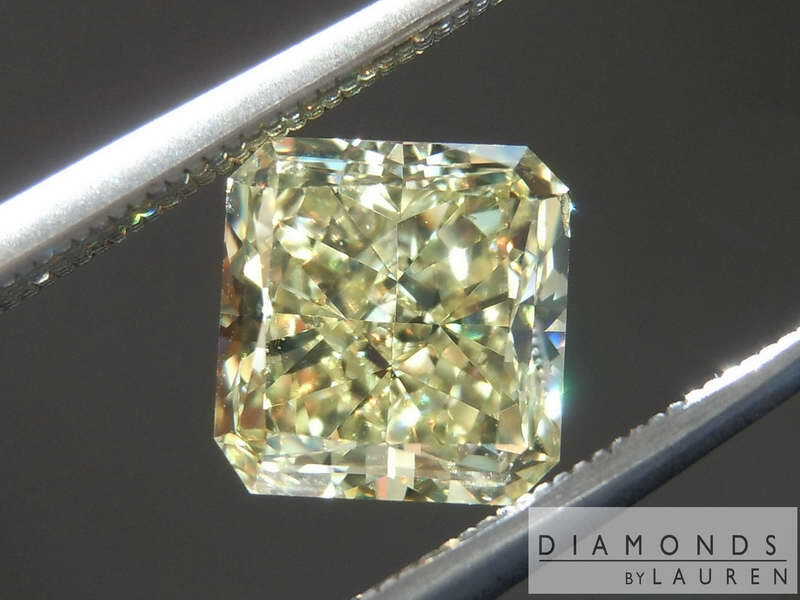 A 2ct may not look any larger, yet would cost many thousands more. 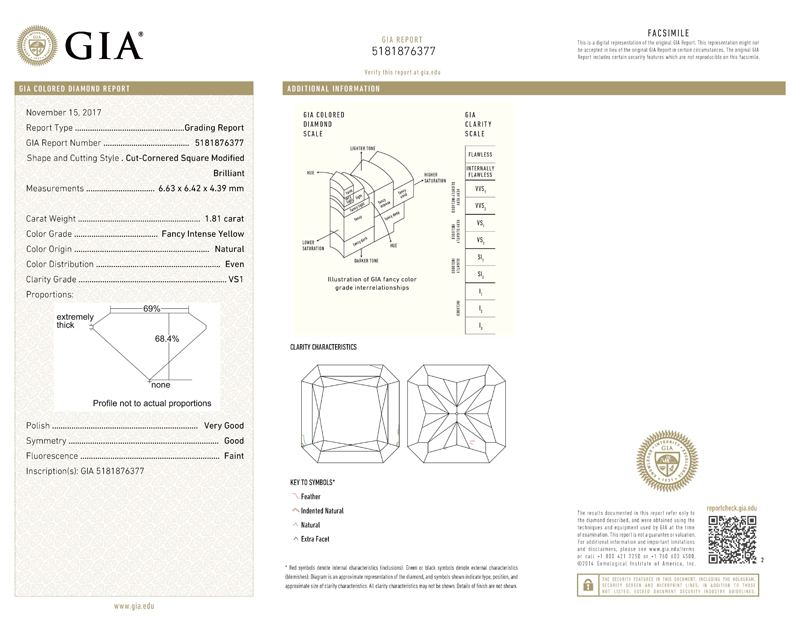 We can do a lovely setting for this diamond.